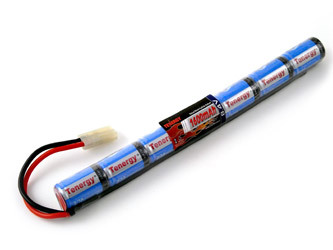 7TN1600SF : 8.4 volt 1600mAh NiMH battery with Kyosho (mini Tamiya) connector for Airsoft guns, RC models. Length approx. 8". Diameter approx. 0.7". Fits AK airsoft electric guns, and more.